A post on social media reminded me of my obsession with practical jokes as a child in the early 1960s. I spent my pocket money on quite a few from the Ellisdons Jokes, Magic and Novelties catalogue. Ellisdons sold all manner of practical jokes; rubber beetles and spiders, wind-up butterflies, whoopee cushions, and realistic looking rubber things such as food, soap and bars of chocolate. I had, for example, a very lifelike chocolate finger biscuit made of brown rubber. I also had a handshake buzzer, which never really caught anyone off guard, but the floating sugar cubes and imitation rubber snail with a real shell were both winners; I suspect the snail put many friends and relatives off salad for life. I loved the floating sugar cubes; a family friend’s grandfather spent an incredibly long time with a teaspoon trying to make them sink, it was only my barely controlled mirth that eventually caught his attention. 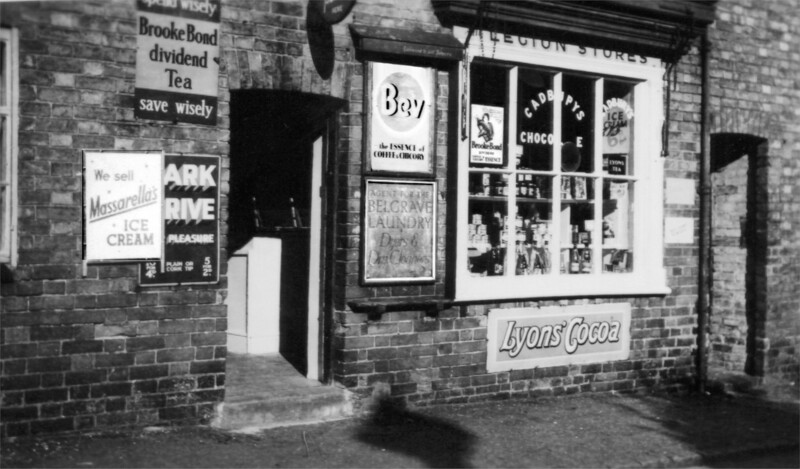 We owned a small local shop in the 1950s; Legion Stores at 13 Front Street, in Birstall, just north of Leicester in the English East Midlands. The shop was in the oldest part of Birstall, quite close to the River Soar and opposite the very old St. James Church; relics of a Saxon window were found during major restoration works in the 19th century. The peel of church bells always takes me back to childhood Sunday mornings, either in the old shop, or at number 5, an old cottage we’d later rented, just down the road. 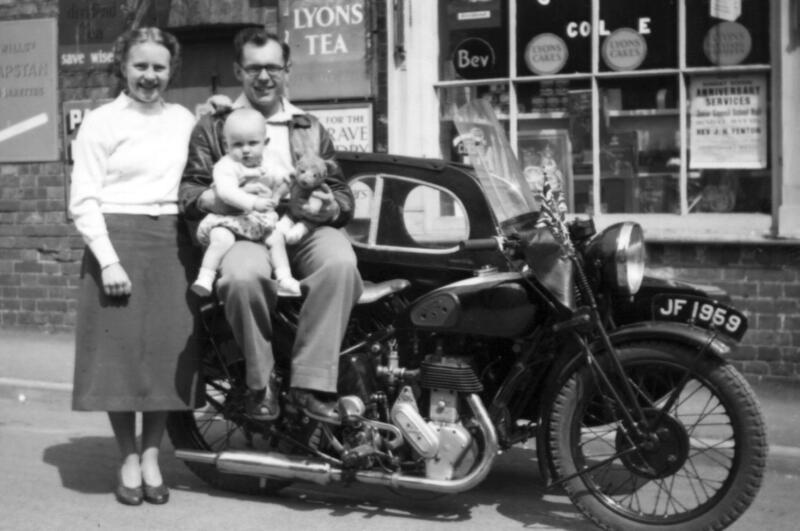 For the first few years that we had the shop food was still rationed and Mum used to bone and slice the bacon and measure out all the rationed portions of cheese and meat. 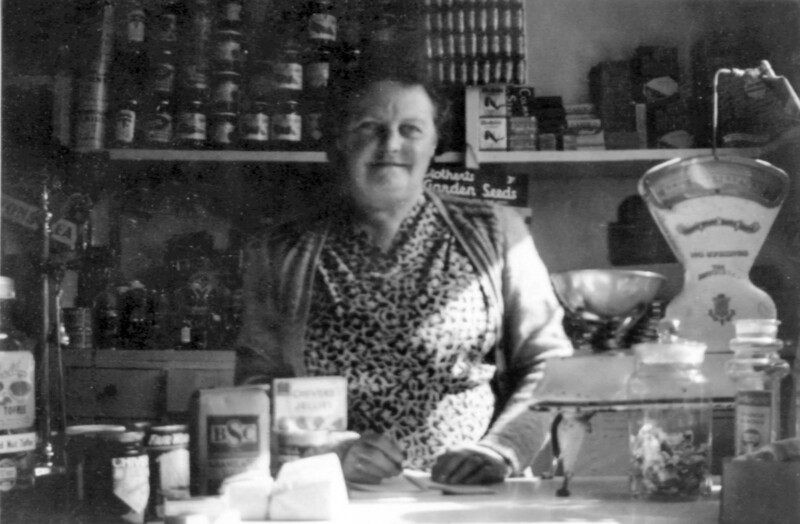 Mum and Grandma did most of the serving in the shop because Grandad didn’t like working behind the counter; he didn’t have much patience and always said he couldn’t put up with the ‘chatting women’. Almost everything had to be weighed and measured out by hand, hardly anything came pre-packed. Things like sugar came in big bags and were measured into small bags for the customer, bacon was sliced by hand and parcelled up, cheese, lard and butter had to be cut into chunks, weighed and wrapped. In the kitchen at the back of the shop we had a small butter churn, like a small wooden barrel with a turning handle that we used to make our own butter. I don’t actually remember if we churned the butter that was sold in the shop, although I do remember my Mum and Grandma patting the measured chunks of butter into blocks with wooden paddles and wrapping them in paper. Particular delights for me were the rows of jars full of sweets, unfortunately out of my reach. Something I could actually reach were the eggs, dozens of them in stacks of trays. My mother told me that one day I picked up some of the eggs and when she told me to put them down, I just dropped them on the floor. I bet the cane that she kept behind the bread board came out that time. One of my favourite parts of the shop were the rows of little wooden drawers behind the counter and below the shelves of sweet jars, tins and jams. These drawers were full of various dry goods, such as salt, with small metal scoops used to measure the contents into bags. The drawer I liked most of all contained lots of button badges, these must have been given out by the suppliers, because I seem to remember them advertising things like Saxa salt. 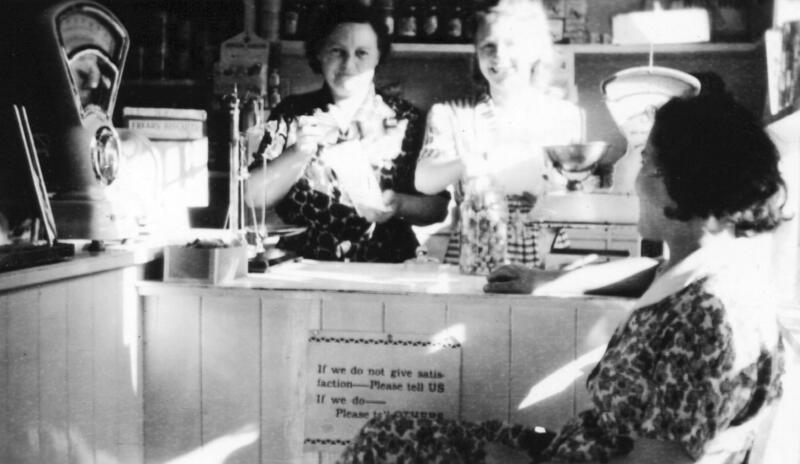 The shop did steady business and just about paid its way for a few years, but self-serve food stores started to become popular in the 1950s, gradually turning into the chains of supermarkets that most of us buy our food from today. 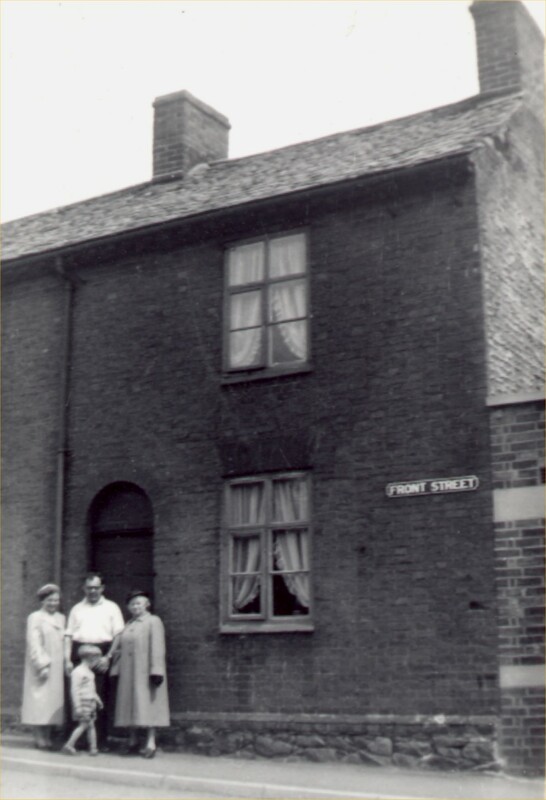 By the late 1950s the old shop on Front Street wasn’t doing very well, loosing customers to the newer shops in the village at Sibson’s Corner, so when Mum and Dad moved in 1959, to a new house on a new estate off Greengate Lane, Grandma and Grandad Manterfield gave the shop up and moved into the old cottage that we’d rented at 5 Front Street. So that was the end of our little retail experiment, but it left me with many happy memories of a quieter time in a small corner of a very old village. The etymological, not entomological, origins of my school nickname. At school, well at junior school, I was known as Dandy, which had a dual or ‘punning’ basis, coming both from my alleged dandyism and from watching, and being somewhat obsessed with, the Saturday matinee film series of Zorro at the local village cinema. 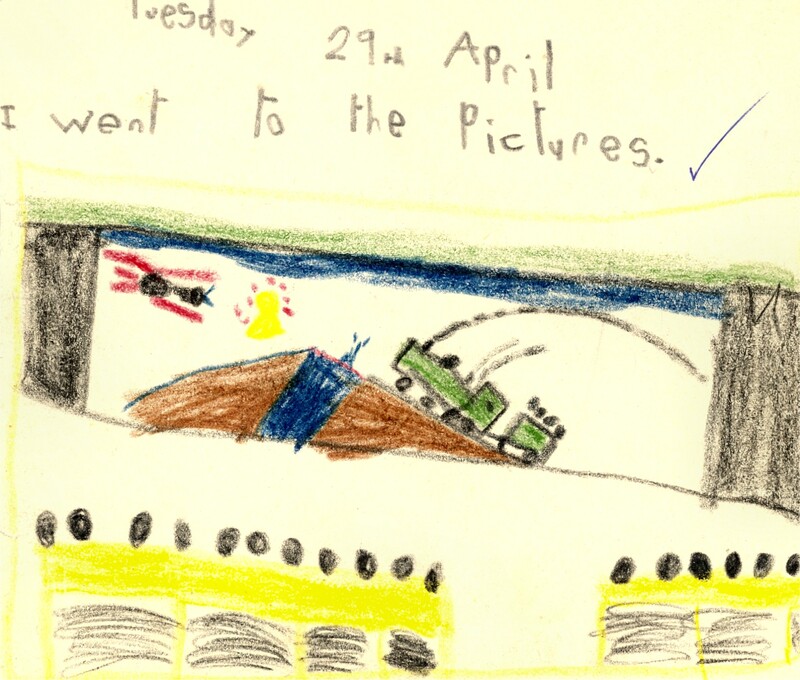 The theatre was the Lawn cinema in Birstall, just north of Leicester, run by Bert Pollard. According to the Leicester Mercury the cinema had been opened on Monday 5 October 1936. It was named after Lawn House, which had previously stood on the site in the centre of the village. I loved the Saturday matinee; it was the entertainment highlight and treat of the week for quite a few years and my introduction to cinematic science fiction through Flash Gordon and to the wacky humour of Laurel and Hardy, Abbott and Costello & The Three Stooges. I can’t remember exactly how much the matinee cost; it was quite cheap, somewhere around 4d or 6d, and my favourite sweetened, pink and white popcorn, sold in a greaseproof paper tube for about 3d. The Lawn keep going for 34 years, finally closing in October 1970. After it’s demolition a supermarket was built on the site. Anyway, I’m deviating; this minor historical tangent has little to do with my nickname, just happy memories of the late 1950s and early 1960s. I was fascinated by Zorro’s spectacular fencing techniques, but my friends, instead of calling me Zorro, named me after Zorro’s unmasked screen character. Zorro (Spanish for fox) was the secret identity of Don Diego de la Vega; this was heard by young ears as ‘Dan de Yaygo’, which in turn became ‘Dandy Yaygo’, and, in the case of my nickname, was abbreviated to just ‘Dandy’. The perception of me being a dandy, the secondary source of ‘Dandy’, arose through my mixed pronunciation from having an East Midland father and a south coast mother. Words such as grass with the short ‘a’ of the East Midlands and north would often emerge with the longer ‘ah’ of the south. Likewise I would sometimes pronounce words such as plant, dance, branch, demand with the long ‘ah’ sound (plahnt, dahnce, brahnch, demahnd). Due to this intermittent southern, or posh, pronunciation my school friends erroneously perceived me as having an upper-class background. So ‘Dandy’ fit both the perception of who I was and my obsession with Zorro, whose alter ego, Don Diego de la Vega, was thought to be a bit of a dandy anyway. In a slight revisiting of my school nickname I did take up fencing in the 1970s, starting at night school and then with the Nottingham YMCA Fencing Club for a few years, where I met my wife Sue.